This blog is about mass communication and media change. And that's why I rate my experience with Ginx TV high on my list of must watch shows. 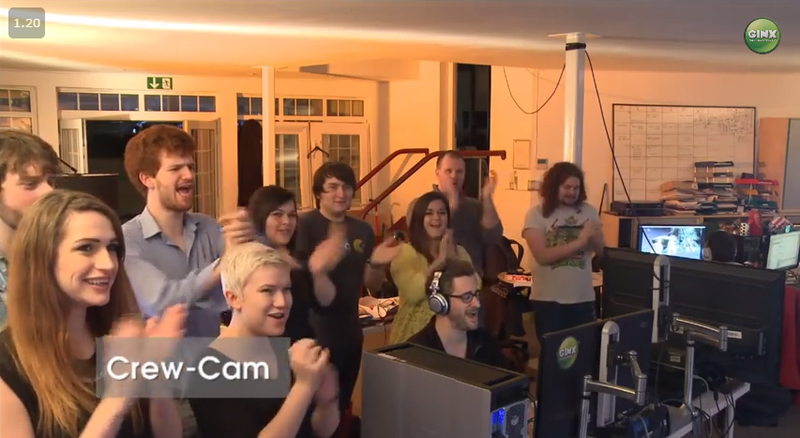 In the last two weeks, I've thought about #Ginxlive every single day. I'm trying to figure out what's happening and how it fits in with everything else. It goes like this (and quite important I step out a timeline, you will see why). 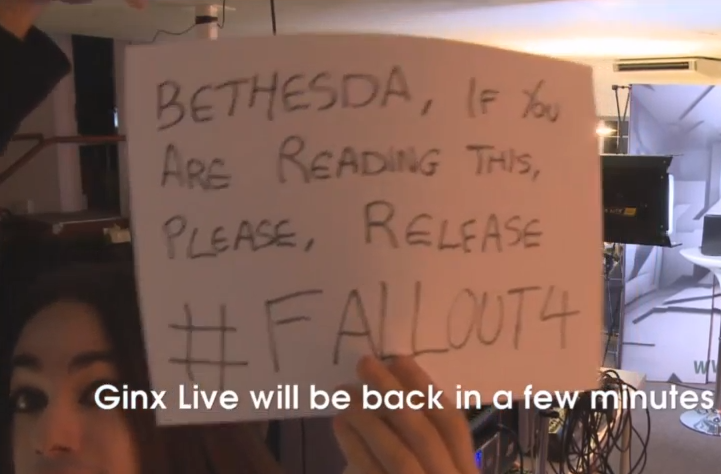 I saw a tweet from Lydia Ellery as @SquidGaming saying how they were almost live (fri 5.49pm, 9 jan 2015). of Lydia and that's why I was following her twitter stream. In the tweet, was a youtube link, for me that's a second home, I trust it and clicked through. I then see a few people stood about in a studio. A few seconds later, we have the smiling +Adam Savage sat on a sofa. At this point, I'm like I like this, this looks fun (and I want to say). I can feel the atmosphere, energy and timeless banter. I'm thinking, they may be sat in someone's front room - a bunch of mates on a friday night. And remember this was only 25 seconds - before the show had even started. The more I watched, the more intrigue and familiarity. Adam was giving it, 'We are are not only live in the UK and YouTube but we are global baby!' I had no clue what he was talking about. As far as I was concerned I felt like it was just me, someone who had stumbled into their private party (watching anything, live or not, on youtube does that to you. In my case, on my laptop). It's worth saying, and we've all been there, these cliques can go either way. They can annoy you very or you can get hooked (and stay till the end). But here's the thing, it just got better and better. We have some triangulation going on. Adam on the sofa brings in Chris Slight on the social desk (mainstream TV can be terrible at crossing over to read out a tweet). Chris is a funny guy, the chemistry with Adam and the crew are good. For people like me, I have youtube (and the live comments). 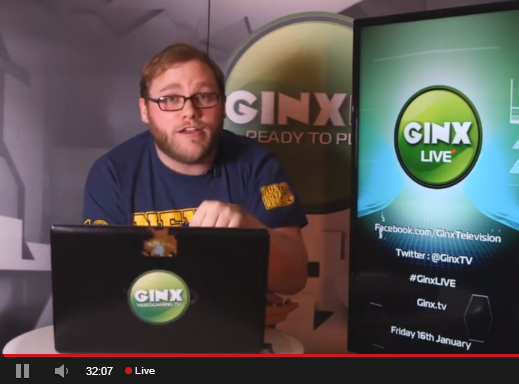 And #ginxlive on twitter (they use facebook of course, but as I'm a g+ guy, not for me). There's more magic when they take a break (that's 12.30, 28.10 and 42.47 for 3 mins or so). 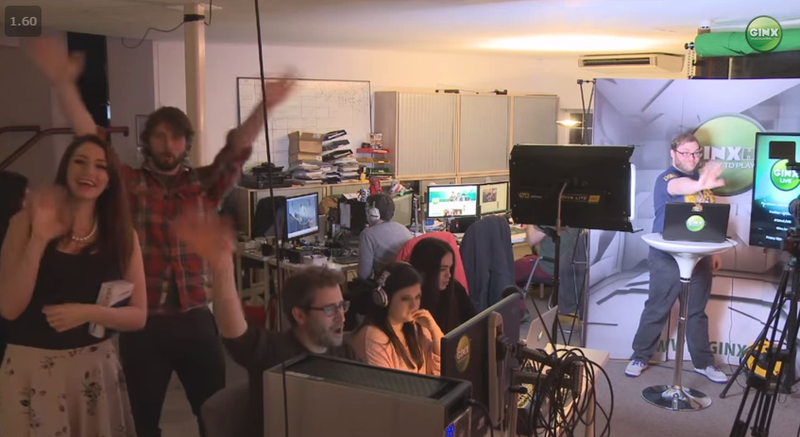 On youtube, the viewer gets to see the studio cam and a few of the crew messing around. That gives me a break too, I read the comments, feel part of the show and feel special as I can see behind the scenes. So much joy to see these people perched checking their phones, raley looking up to speak to each other (that is apart from the guy doing the comedy eyebrow raise in the webcam). So the show runs from an hour (6-7pm), then it's relax even more when they sit about playing a video game. We see the screen share game play, while hear the distinct aluminium snap of a beer can opening. Last week Episode 9, I sat watching from 6pm to 8.08pm - the time really flew by. This was the part that really got me thinking - after all, I've watched and been involved in loads of high level Live at YouTube broadcasts. 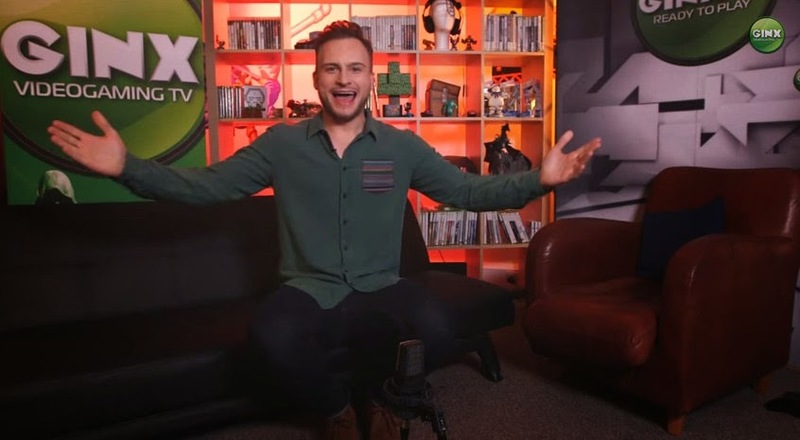 Main conclusion, Ginxlive is not about games at all - it's about the people in that room having fun and making sure they include everyone else too. Friday at 6pm is a blessing for this. What other examples do we have? TFI Friday was also live on a friday at 6pm. For those who remember, we had Chris Evans packing a bunch of people in Riverside Studios with a live band, then upstairs he had his mates and an interview desk (TFI Friday, wiki). In 1996 when the show started, there was no Google, YouTube, facebook or twitter. Channel 4 did the heavy lifting with the broadcast (and can you believe it was the 4:3 format, it had to be, 16:9 widescreen didn't come until 2006). Trivia, did you know the Ginx studio and the TFI studio are only a mile apart? That area of London is iconic with arts and entertainment history (for info). Getting back to 2015, let's take a breath on what Ginxlive could be. We already have: Live at YouTube, Live on Virgin Media, Amazon Fire TV and it reaches a ton of other places across the globe (where web connects the chat in realtime).